What is this post about? Read parts I, II and III on Italy here. 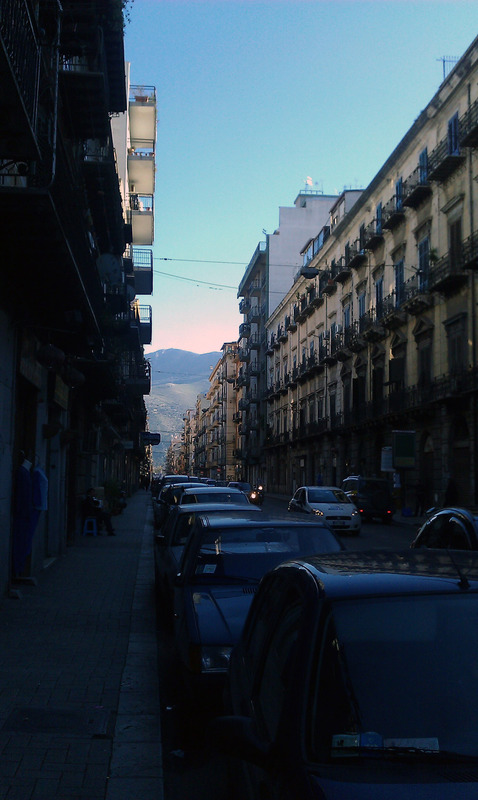 At first glance Palermo appears dark and unwelcoming. By day the Sicilian city is full of Italians bustling about their business, past the migrants selling tat on street corners; a stark reminder, not just of the country’s clandestine migrant population, but also of their own economic troubles. At night women traf­ficked from sub-Saharan Africa live out their night­mares, while the city looks the other way. Beneath the surface of first impressions Palermo is a mes­merising mix of grim city life, complete with a maze of dark, narrow streets, occasionally interrupted by spectacular reminders of Italy’s grand architectural history. This is set against a post­card perfect picture of swooping valleys and an emerald sea. Slap in the middle of this is a growing community of migrants without pa­pers, trafficked women and asylum seekers. Twenty-year-old Sofian Mauzien is also positive, despite losing a well-paid factory job when the company went bust. Sofian has struggled to find more work and relies on charity, despite speaking five languages including Russian. 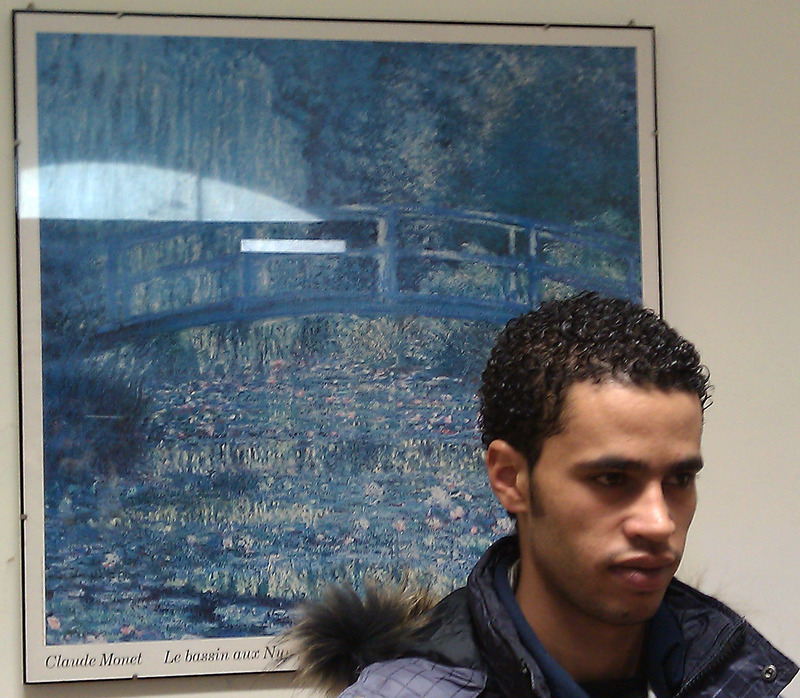 When I met him, he had lived in Italy “two years, three months and 24 days”. “I like Palermo very much,” he says. “I would like to stay here forever. I have many friends from all over the world. I have a lot of friends from France, from Austria, from Senegal, from Ghana, from Morocco, from Palermo, from Greece. In Morocco I know people just from Morocco. “To find work at this moment it is difficult. I want to complete my study. I want to go to the university here. I want to study languages and then maybe I can get a job. According to Centro Astralli Paler­mo, a charity set up 30 years ago to support the waves of asylum seekers from East Africa, 40% of the mi­grants living in Palermo do not have papers. Centro Astralli’s team of tireless volunteers feed irregular migrants when they can, and sometimes offer Italian and IT lessons. Charities like Centro Astralli are the only resource for many of these so-called illegal migrants, who do not exist as far as the Italian government is concerned. Alfonso Cinquemani, who works for Centro Astralli, argues that one of the biggest problems is the difference in asylum and immigration law across the Europe Union. This makes it difficult to properly protect refugees and regulate migration, he says. But he admits that the EU has helped in other ways, with funds to support refugees, for example. “There are some funds dedicated to the immigration politic. Each country uses this money in different ways. In Italy it depends on the region. There are very advanced re­gions, Lazio, Tarantino, [that offer] better help to migrants. But giving these invisible people just enough to survive seems only to prolong their limbo. Many arrive in Italy expecting to find work somewhere in Europe. Instead on arrival, often they are confronted with a bar­rage of information on how to seek asylum. Seeking asylum can quickly be­come the sole option for migrants enter­ing the continent without papers. As a result, once they are refused asy­lum, there are few legal options open if they want to stay in Europe. This leaves them vul­nerable to unscrupulous employ­ers, traffickers and criminal gangs. Could what they left behind be worse than that? Social worker Sandra Voutsinas thinks so. “In reality they don’t live in good conditions in Europe. But there [in Europe] the pos­sibility that at least something will happen here. Hope in their country is less than here. “Even if they live here in welcome cen­tres, everything that we offer them, which is nothing at all, but there is one hope at least that something can change, or someone they meet, something can happen here. Where there it is quite impossible that something can happen. Nothing happens there. “Eritrea, Sudan, Nigeria, they have problems. There is too much corruption. If you are rich you stay rich, if you are poor you stay poor. Nothing will happen. So having one brother or one sister living in Europe for a family in Africa means a lot be­cause they have hope that something can happen. Even if he gets a document, it is something.